EU To Change Anti-Dumping Rules; New Term for China Made Bikes?-Hangzhou BTN ebike technology Co.,Ltd . EU To Change Anti-Dumping Rules; New Term for China Made Bikes? Time：2016-12-1 Posted：Hangzhou BTN ebike technology Co.,Ltd . 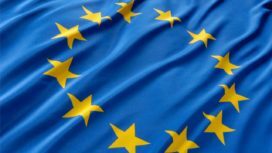 BRUSSELS, Belgium �C The European Commission has presented a proposal for a new method for calculating dumping on imports from countries where there are significant market distortions, or where the state has a pervasive influence on the economy. Does this mean that the 48.5% anti-dumping duty now in place for China made bikes exported to the European Union will not end by 2018? For decades there’s an anti-dumping duty enforced on bicycles imported from China into the EU member states. This has protected the European bicycle sector from a flood of ultra-cheap bicycles from China. With the 2013 renewal of the dumping measures it was widely expected that this would be the final 5 year term. With a new methodology in place for determining dumping as well as a strengthened anti-subsidy legislation there’s a much reduced chance that these measures will be stopped by 2018. The Commission has also proposed a strengthening of the EU anti-subsidy legislation so that in future cases, any new subsidies revealed in the course of an investigation can also be investigated and included in the final duties imposed. In determining distortions, several criteria will be considered, such as state policies and influence, the widespread presence of state-owned enterprises, discrimination in favour of domestic companies and the independence of the financial sector. The Commission will draft specific reports for countries or sectors where it will identify distortions. As is the case today, it will be for the EU industry to file complaints, but they can rely on such reports by the Commission to make their case. The European Commission’s proposal follows orientation debates held in January and July as well as extensive stakeholder and social partner contacts and a public consultation. A full Impact Assessment was conducted to assess the implications of any decision on each Member State and economic sector. The European Parliament and the Council will now decide on the proposal through the ordinary legislative procedure.